We are an old-fashioned 5 & 10 complete with a soda fountain. Our inventory includes stationery, hardware, house wares, toys, crafts, notions, dry goods and gifts. 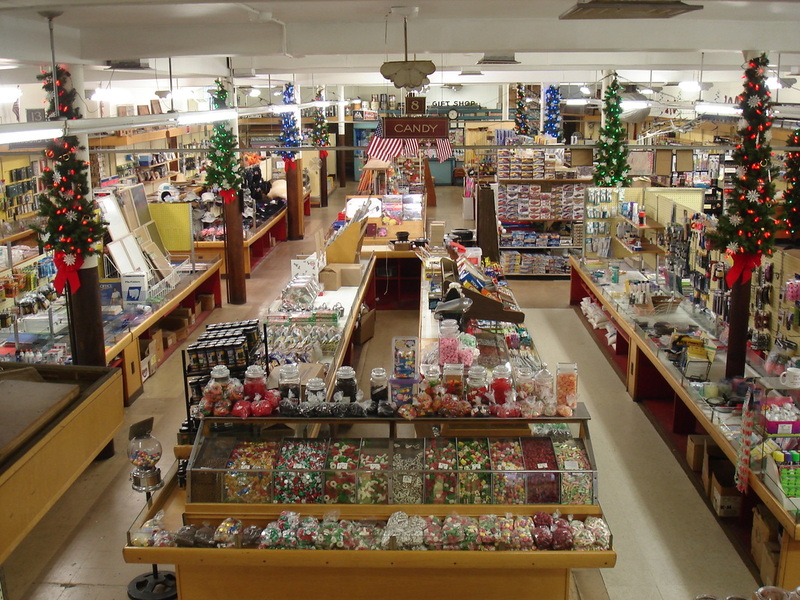 We carry over 10 varieties of bulk candy as well as dozens of novelty and penny candies. Breakfast and lunch is served at our soda fountain that boasts an original root beer barrel. Milkshakes, ice cream sodas and sundaes made with Edy's Ice Cream are available all day. Over 200 model airplanes are suspended from the ceiling including a 10 ft. long airship U. S. S. Akron. A standard gauge train runs along 200 ft. of track crossing two 50 ft. suspension bridges. Our Christmas room is open year round for your holiday shopping. Services include key and shade cutting. Family owned and operated since 1912. Stop in, say hello and enjoy a step back in time. Sine's 5 & 10, where everyone is a kid again!